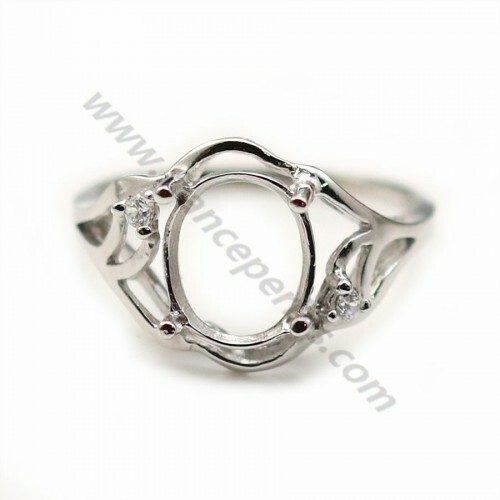 Adjustable ring in 925 sterling silver and zircon, for half-drilled pearls, sold by a piece, this ring adapts to all sizes of fingers, and, is to be decorated according to your desires, our stones, and pearls the most beautiful. 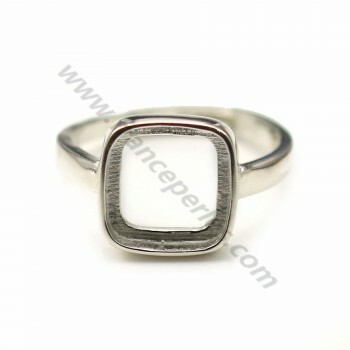 925 silver simple and adjustable ring mounting with a 12mm square base; sold by unit. 925 sterling silver very large ring mounting meant for a center half-drilled pearl or half-drilled bead. Sold by unit. Rhodium 925 silver ring mounting already set with small cubic zirconias and meant to hold a half-drilled pearl or half-drilled bead. Sold by unit. Rhodium 925 silver simple ring mounting set with two small cubic zirconias, meant to hold a cabochon as center gemstones. The size is 4x6mm. 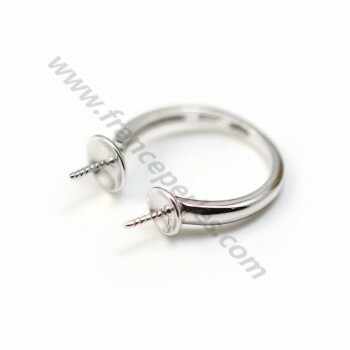 The ring mounting is sold by unit. 925 silver simple and adjustable ring mounting with a 12mm round base. Sold by unit. 925 silver simple and adjustable ring mounting with a 8mm square base; sold by unit. 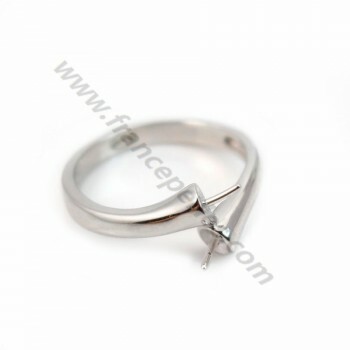 Rhodium 925 silver simple and adjustable ring mounting for half-drilled pearls or half-drilled beads. Sold by unit. 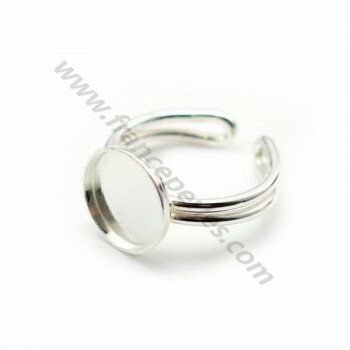 925 silver simple and adjustable ring mountig with a 12mm round base for cabochon-cut gemstones. Sold by unit. 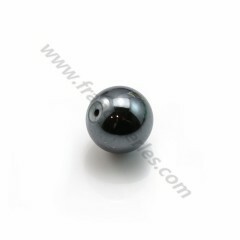 Rhodium 925 silver very simple ring mounting meant for two half-drilled pearls or beads. Sold by unit. 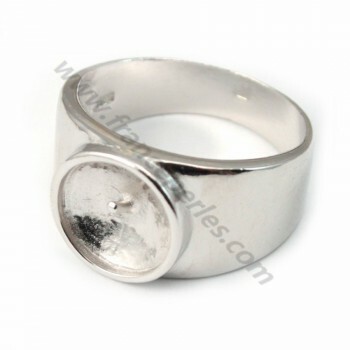 925 silver simple and adjustable ring mounting with a 7.5*7.8mm round base, sold by unit. 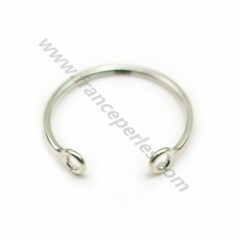 925 silver stylised ring mounting for half-drilled pearlsor half-drilled beads. Sold by unit. 925 sterling silver large and simple adjustable ring mounting with a small ring to hold a charm. Sold by unit. 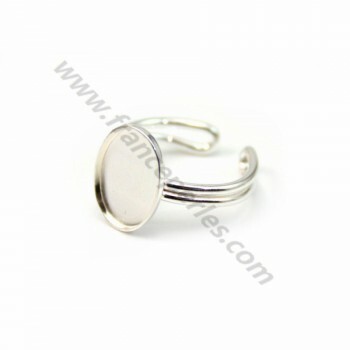 925 silver simple and adjustable ring with a 10x14mm oval base for cabochon-cut gemstones. Sold by unit. 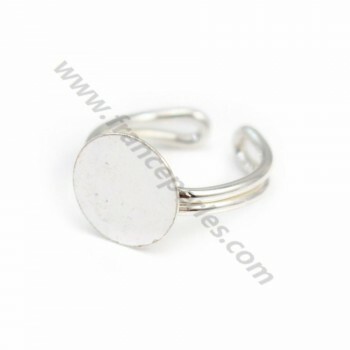 925 silver simple and adjustable ring with a 6mm round base for cabochon-cut gemstones. Sold by unit. 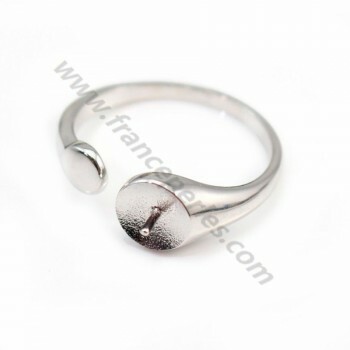 925 silver simple and adjustable ring with a 14mm round base for cabochon-cut gemstones. Sold by unit. 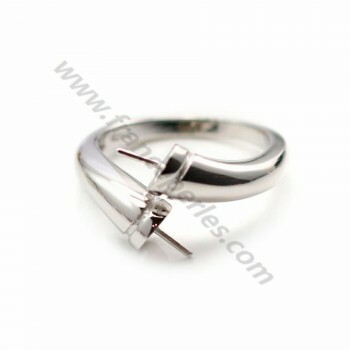 925 sterling silver flexible ring double half drilled . Sold by unit. 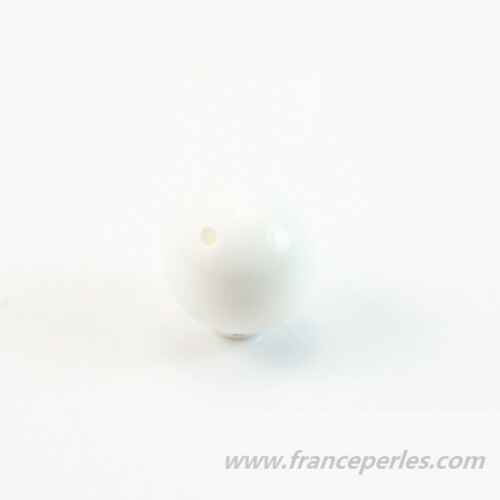 To use with half-drilled beads, cut the shaft according to the size of your bead. 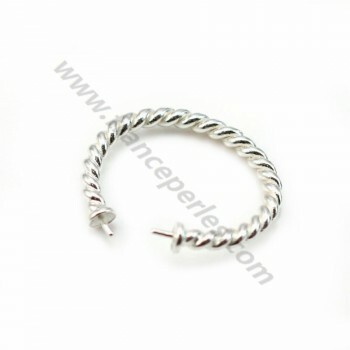 925 sterling silver flexible twisted ring double half drilled . Sold by unit. 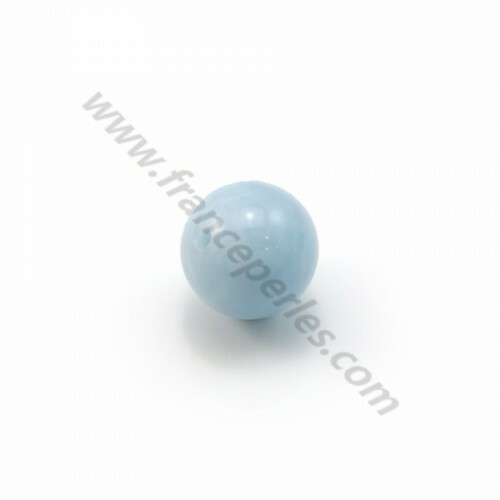 To use with half-drilled beads, cut the shaft according to the size of your bead. 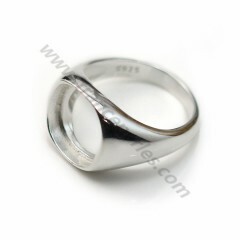 925 sterling silver ring with 8 loops . Sold by unit. 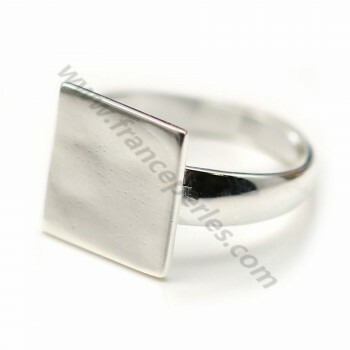 925 sterling silver soutien square 10mm adjustable . Sold by unit. 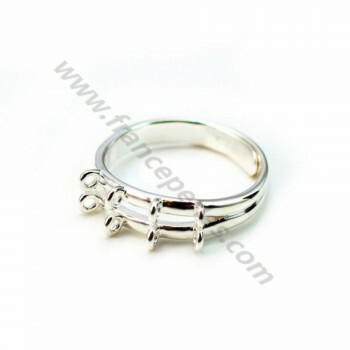 Rhodium 925 sterling silver ring mounting with zirconium for half drilled pearls, Sold by unit. 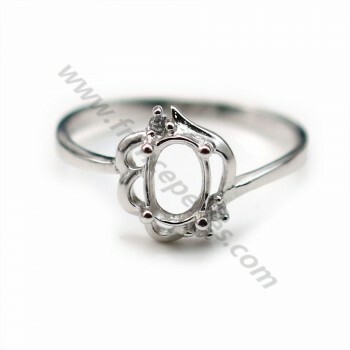 Adjustable ring, in 925 sterling silver, for half drilled pearls, this product is sold individually, you can add semi-pierced stones or beads to your wishes. 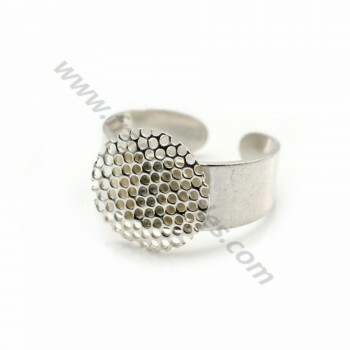 Adjustable ring in 925 silver, in shape of ring with 2 rings, sold by the piece, this ring by its original shape, will perfectly associate with your ideas, and your desires. 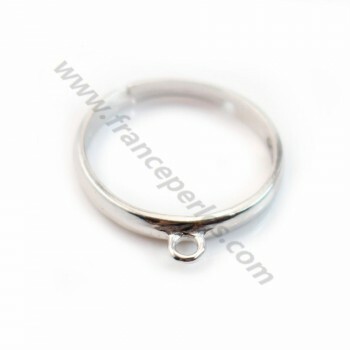 Ring set in 925 silver, with a 12mm square stand, sold by the piece, this ring is to customize to your every wish, it can accommodate a cabochon, square, natural stone or mother-of-pearl.